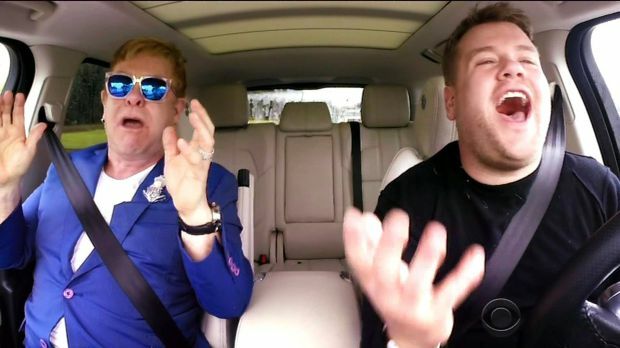 One of the reasons Carpool Karaoke has taken the world by storm is it finally solves the problem which has been apparent to the people in front of the camera for years but never seemed to get through to the people behind the camera - what makes performers nervous is not the thought of the millions of people at home; it's the thought of the half-dozen camera operators and production personnel who are standing just a few feet away. 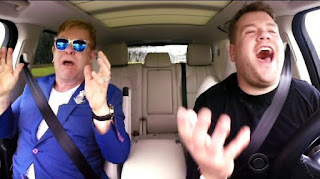 Carpool Karaoke is shot the same way that Top Gear is, in cars kitted out with invisible cameras and microphones, with all the production staff relegated to vehicles either preceding or following. Corden's completely in charge and all the star's fluffers, minders and supernumaries are too far away to get in the way. I once did a couple of things like this for a cable channel. I drove around Manchester interviewing Tony Wilson and drove around London interviewing Bryan Ferry. I can't tell you how liberating this was compared to the standard TV interview experience. In fact, all telly should be done like this. Think you need to give more credit to the actual environment. It's the fact that it's in a car, a place where we all chat, argue and sing in a way we don't anywhere else. There's something about that closed, virtually soundproof environment which means that people are more open – think of all those movie shots where people bottle up their emotions, then get into a car and just scream and punch the wheel. And perhaps your own in-car interview experiences reinforce this? If you put all those invisible cameras and microphones into a living room, or a restaurant, or any other environment, you would not get the same result as in a car. "If you put all those invisible cameras and microphones into a living room, or a restaurant, or any other environment, you would not get the same result as in a car." That said, I'm not convinced that this is really all that different. And, considering it's on the roads, as Olivier once said: "Is it safe?"